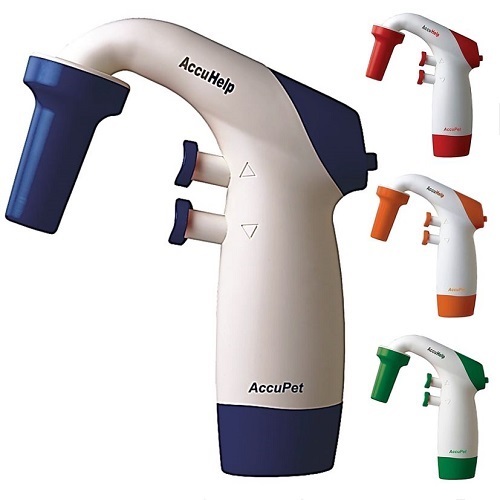 Accupet Pipettes include the AccuPet Pro and AccuPet Evolution manual and electronic pipettes, and the popular AccuPet AccuHelp Pipette Controllers. 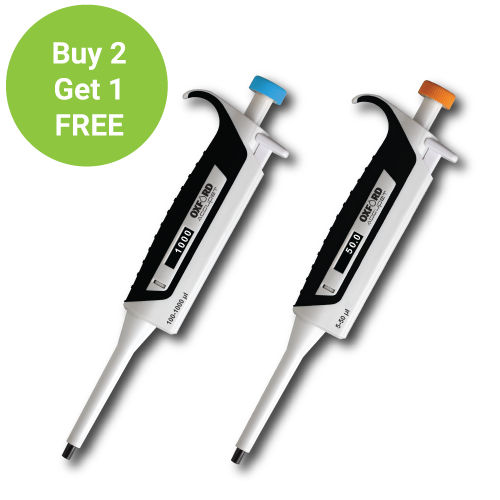 They are ideal for start-up Academic labs, students and general-purpose lab pipetting. Accupet Pipettes are a great cost-effective choice for many labs that require high-quality pipettes but at an economical price. 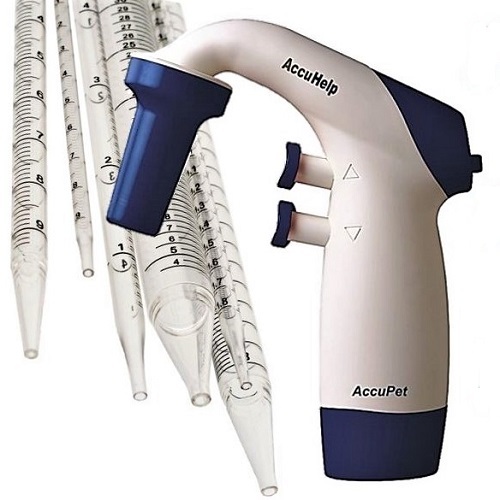 This makes Accupet Pipettes ideal for precise and efficient pipetting within a tight budget. Optimized for the utmost convenience, all Accupet Pipettes, including the AccuPet Pro, AccuHelp, AccuPet Jr. and Accupet Evolution are crafted to be visually pleasing, comfortable, and high performing. 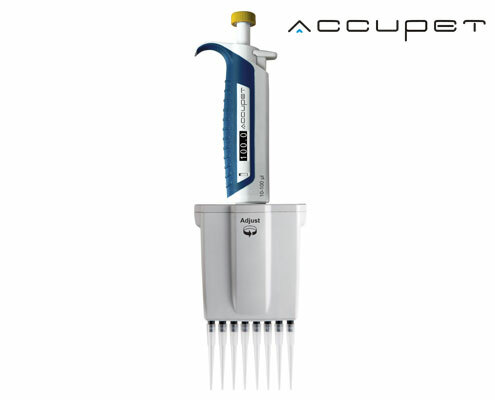 Accupet Pipettes are suitable for both left- and right-handed users and are designed to be ergonomic and lightweight. Pipette.com carry single-channel pipettes, multi-channel pipettes, pipette controllers and fixed volume mini-pipettes from the AccuPet range to accommodate all your needs. This line of digital pipettes is ergonomically designed and continuously adjustable for ease of use. The AccuPet Pro is designed to incorporate attractive form with practical function at an affordable price. 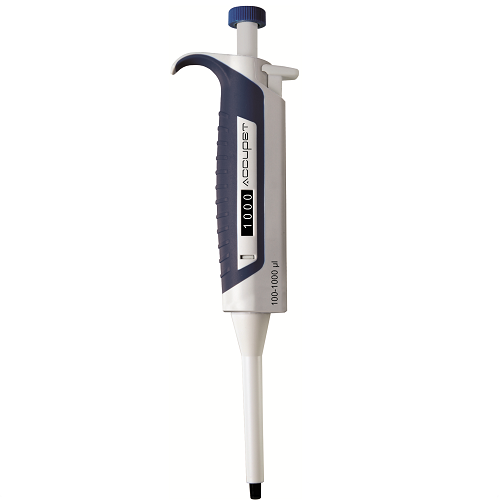 The updated features allow for more comfortable pipetting and more precise results. These features include the DirectVue volume indicator, a SuperLite ergonomic handle design with a rubber grip, and universal tip fitting shafts. Comes with a 3-year warranty. The lightweight AccuPet AccuHep Motorized Pipette Controller combines advanced ergonomic design with precise liquid dispensing for serological pipettes. The round shape, balanced weight, and light action spring buttons reduce fatigue and increase accuracy. The AccuHelp is compatible with glass or plastic serological pipettes, ranging from 1 to 100 mL and is available in four different colors. The lightweight AccuHelp Pipettor combines advanced ergonomic design with precise liquid dispensing making it an ideal controller for novice lab technicians. The AccuPet Jr. Fixed Volume Minipipette is a disposable and economic pipette, ideal for students, start-ups, and diagnostics kits. 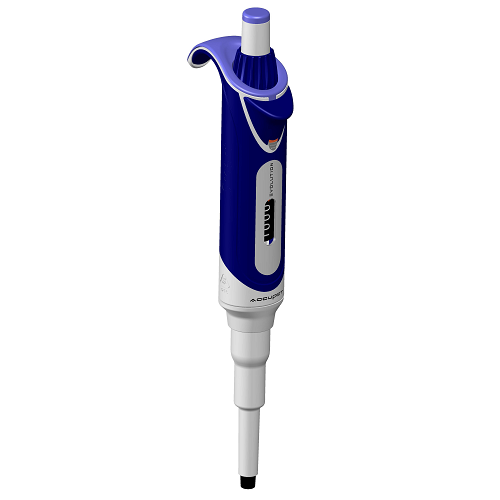 This pipette has a two step plunger dispenser and a smart tip cone design to ensure accuracy at minimal cost. The AccuPet Jr. Fixed Volume Minipipette is fully autoclavable, color coded, and customizable. Save with Bundle Deals! The lightweight AccuHelp Pipettor combines advanced ergonomic design with precise liquid dispensing making it an ideal controller for novice lab technicians.